Last weekend while G&G Gardiner were here we decided (in true Gardiner fashion) to hit up a few garage sales. Nestled in old Scottsdale we found the home of a couple that were just moved to an assisted living facility in CA by their children. The kids were present and wanted nothing more than to rid their lives of the parents junk. I can't wait to purchase some film and see what they can do. They are all so cute and not bad for $2 a piece. 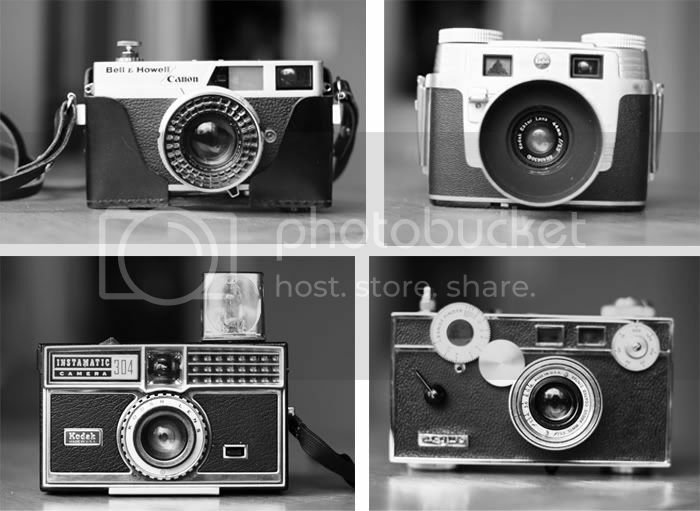 This guy also had a vintage SLR that my father-in-law took home. Complete with an extensive set of lenses. We found this vintage Red Racer in the same neighborhood. The guy said he had it since he was a kid. He estimated it was made around 1930. We aren't really sure what to do with it. We agree that we could probably make a good profit from it, but Easy and I are a little to in love with it to sell just yet. E also bought a few needed tools and my mother-in-law found a vintage Singer Sewing Machine. She was kind enough to give me a lot of the accessories that came with it, including these fantastic old needle booklets and some fabric scissors. 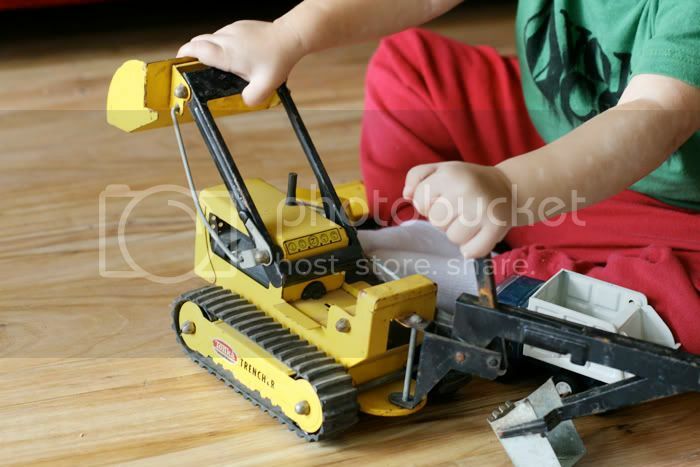 At the end of all the chaos I spotted a box full of vintage Tonka Trucks. Even with a house full of girls we couldn't resist as the woman was only asking $5 for the lot. Our friend Keegan was over this morning playing and he played with them for hours. Presently, the girls are outside with them and their Polly's - shoveling dirt and loading rocks. While they are busy I guess I should work on my Spirograph skills Psych flash cards. Wow you did hit the jackpot!! Great finds! those are some impressive finds. I can't get over $2/piece on those cameras. wow. Those ARE some great finds! So fun. 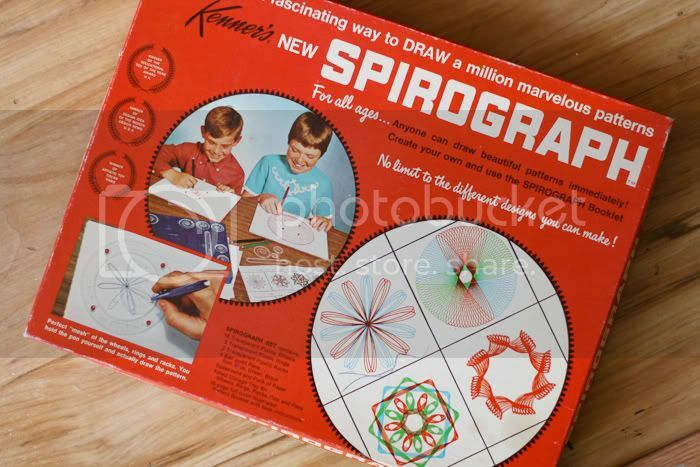 I so had one of those exact Spirographs...spent many an hour working on those! Man that is an awesome find!!! 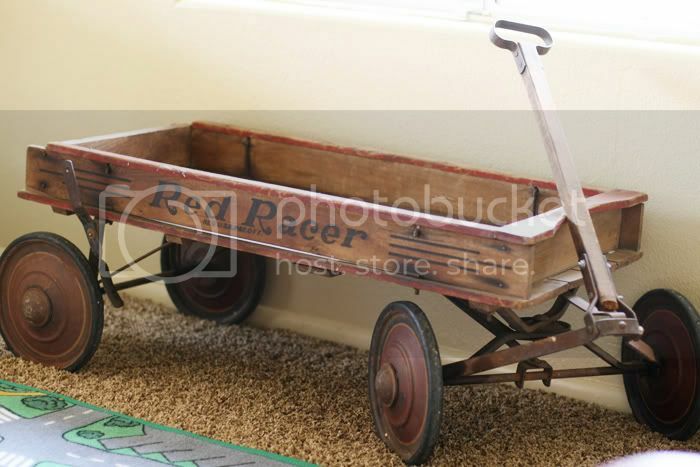 I LOVE the vintage cameras and the red wagon! It would be a darling photography prop! Man wish I were close enough...I would buy it from you. SPIROGRAPH!!!! That was my all time favorite! !